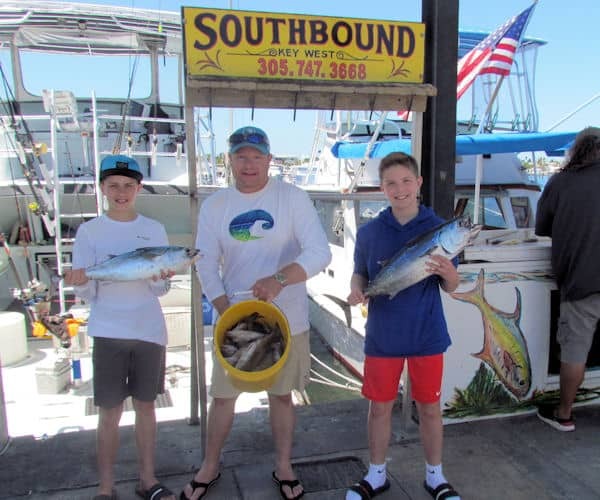 The Southbound had two fishing trips today. 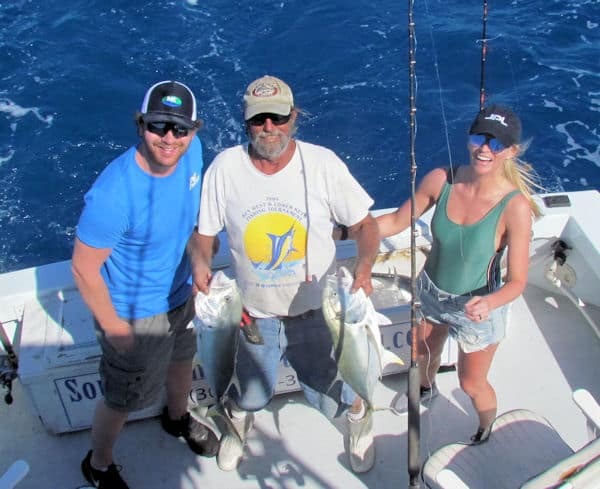 We were Reef fishing on both trips. In the morning, it was still blowing a little bit, so we went east to get a little protection from the wind. We anchored behind a couple of reefs that form a pocket that blocks a North East wind pretty well. Fishing was good enough and we ended up with enough Yellowtail snapper for everyone to have a good dinner. 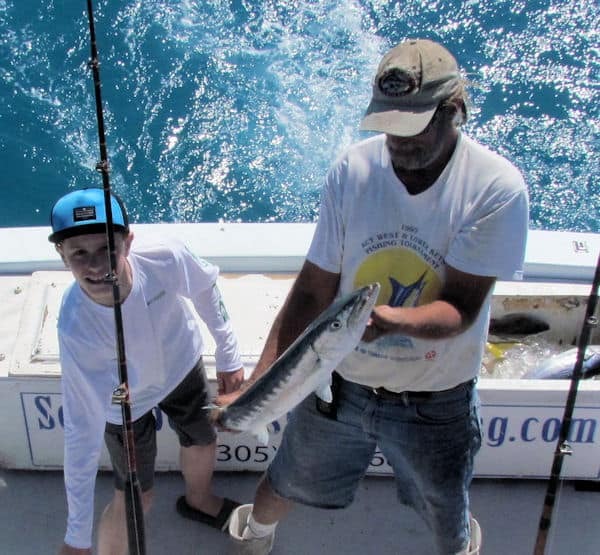 We ended the day trolling for some bigger fish and ended up catching a couple bonitos and barracuda. we were reef fishing again, but this time we just trolled. 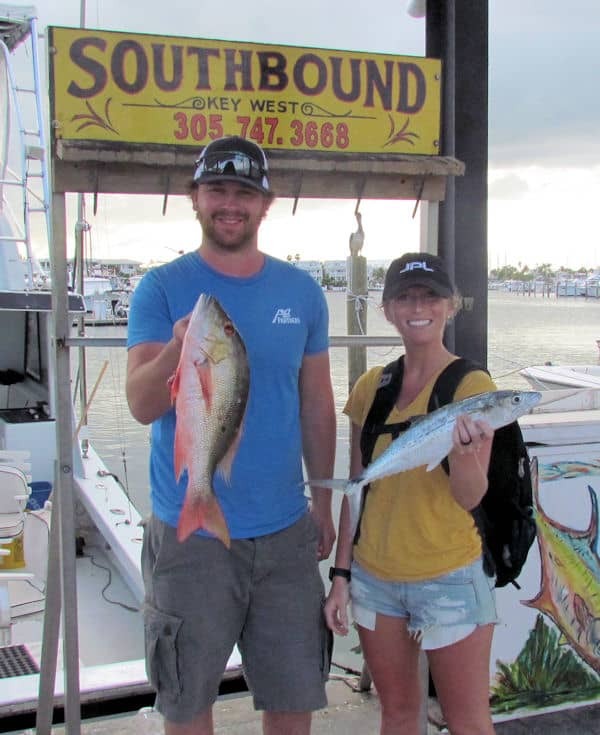 Caught a “keeper” mutton snapper and a Cero mackerel for dinner. and got into a school of Cravalle Jacks out by Sand Key Light. Cravalle Jacks are voracious feeders. They can be alone, but often this time of year, they travel in large schools. Every line gets hit and it can be bedlam on the deck, (good kind of Bedlam). The ones we caught today were toward the larger end of the spectrum and like all members of the jack family, very strong fighting fish. We did not spend any time offshore today. The Boat has a full day split charter tomorrow. I imagine we will spend some time on the reef making sure everyone has a chance to catch some fish, but I’m hoping to spend at least a couple hours in the blue looking for a sailfish. 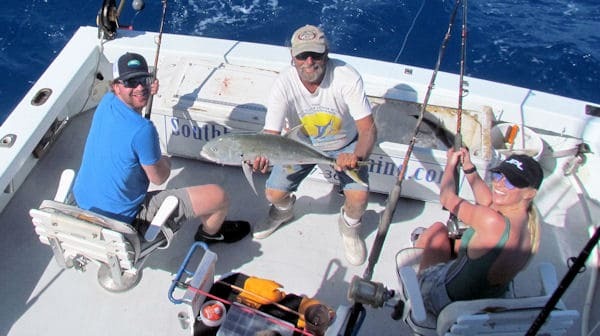 We are coming into the time of year when we expect to see sailfish and I know some boats have been catching a few. I haven’t had the “right” people for that the last few days. As much as I like going after Sailfish, it’s my job to make my customers happy, not to fish for what makes me happy. I’ll see if my group tomorrow is up for it.